I went looking for doors. Very cool -- in fact I like the cool tones against the warm brick background. Great find. 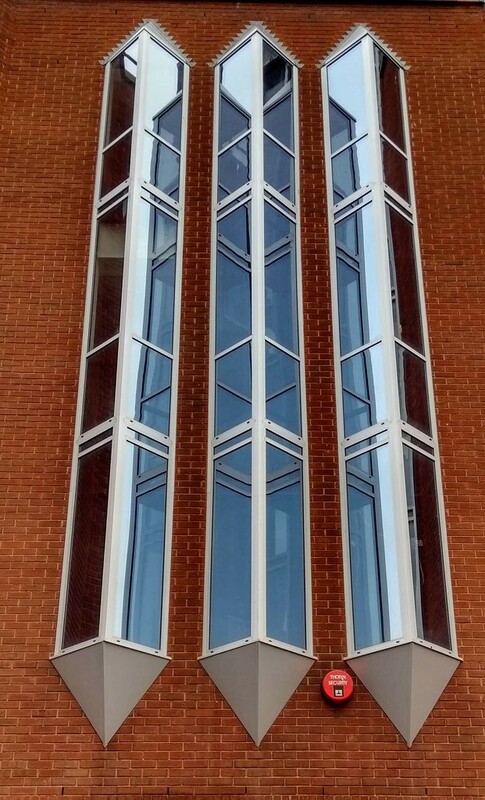 Such unusual windows. Good to be flexible! Good find, unusual windows and they make a nice sharp image. Wonderful find - beautifully composed! I like doors too...interesting windows! Very cool. What an interesting architectural feature. I love the zig zag detail at the top.